Product and service standards have never been higher. Customer service is similarly upward bound. You’ve made sure that all T’s have been crossed, ducks put in their rows, and the wind is at your back. But what if, without warning, disaster struck? A trusted distributor has a database glitch, causing product delivery chaos. Customers are not amused one bit. Despite offering refunds and a well-manned customer service hotline, the denizens of the Internet mobilize. They take to Yelp, their personal blogs, and to the depths of Reddit, leaving a litany of ruinous reviews in their wake. The mudslinging pushes your brand from its pedestal. 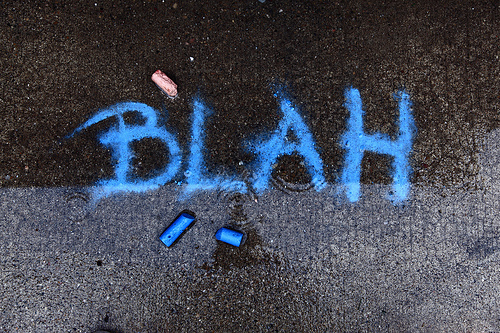 In time, your company may able to right its wrongs and turn the angry mob into content customers again, but the damage has already been done. Now, every time a potential customer searches your brand, they’re overwhelmed by past negative reviews. While this may be a worst-case scenario, there are numerous tools at your disposal to help clean up if such an event were to transpire. At the very least, these tools will help you mitigate the damage that has the potential to take a brand under. 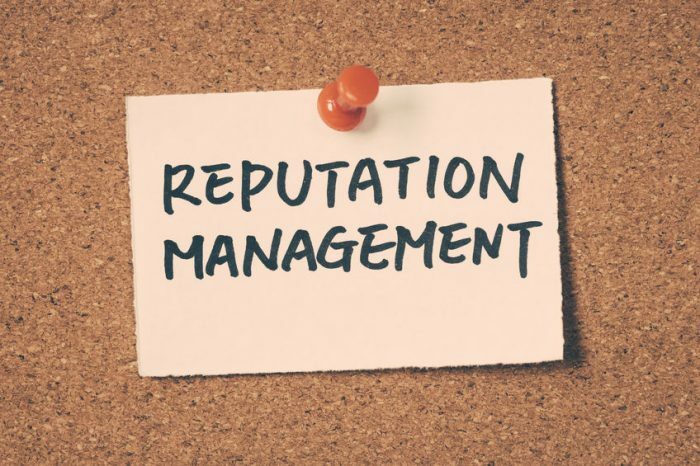 There are, of course, the standard reputation management techniques: responding to negative comments with positivity and understanding, offering discounts to the disgruntled, and providing a superb customer service experience. Then there is the SEO approach. By optimizing social media profiles, adding onsite customer testimonials, creating image-positive content and leveraging structured data, negative posts and reviews will decrease in rank — or at least be offset — as positive profiles usurp them. Ensuring social media profiles are fully set up and consistent across the board has been a long-standing SEO tactic. Not only have social indicators taken a larger role in site rankings more recently, but these sites are also being recognized as authoritative sources that can hold their own in even the most competitive search results field. Having fully fleshed-out profiles with consistent information will bolster a brand’s image. As a brand’s Facebook, Twitter, or LinkedIn profiles rise, the sites hosting negative reviews will fall. Claiming or creating profiles on other relevant social media sites is another good way to add a positive brand mark to search results, be it Urban Spoon, TripAdvisor, Houzz or another social platform. These new channels will also allow for additional opportunity to interact with current and potential customer bases and help forge better relationships. Encourage your satisfied customers and clients to leave their glowing thoughts about products, services, and the company as a whole on external sites and your own site. According to BrightLocal’s 2014 Consumer Review Survey, 88% of consumers trust online reviews and 72% trust a brand more after reading positive experiences. Building out a testimonial page based on satisfied customer reviews/quotes will help mitigate the negative reviews on other sites. Furthermore, this page is likely to rank better for terms such as “your brand + reviews,” adding to the clout of positivity on the first page surrounding your brand. Through the written word, a lot can be accomplished. By building out a blog or articles page, your company can potentially capitalize on consumers researching your brand, industry or related topics. By posting content optimized to target customers searching for reviews or with negative keywords, your site can better help frame potential issues and past grievances in a positive light. Even getting one of these posts to the first page of the search engines can make a difference, or at the very least help illustrate how much your brand cares about its public persona and customer experience. So the testimonials page is all built out and the site has had more content added to it than George R.R. Martin has authored. However, by using rich snippets, that content and those reviews have the potential to outshine the other sites within the search engine results. This type of markup defines certain attributes on a page to make them readable to Google and other search engines. In return, the search engines may or may not display the defined information within a search listing. 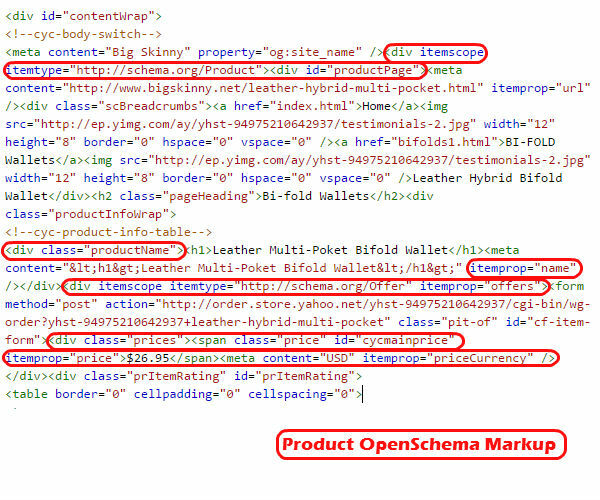 For example, using OpenSchema Markup, you can define the different attributes for a testimonial or review. The content is defined, the rating is defined, and all that’s left is for Google to display the content in the results. If displayed, these pages will stand out considerably more than the pages that lack such markup. Taking back your reputation is not easy and neither is it quick. For small discrepancies, it might only take a few months. However, if there is a lot of bad press out there, it could take a substantial amount of time and effort for the reputation-management aspects of your SEO campaign to take hold and really allow your brand to shine through. Integrating SEO into your reputation management strategy is a great way to help negate or mitigate negative press by focusing on the positive aspects of your brand and alleviating consumer confusion or misinformation. It is imperative to remember that these strategies are not a replacement for providing a great customer experience. Nor can it replace having shoddy products or services that have no value to consumers.